Double the fun with full-size 1500' racing lines and a half-pipe zip ride like no other. 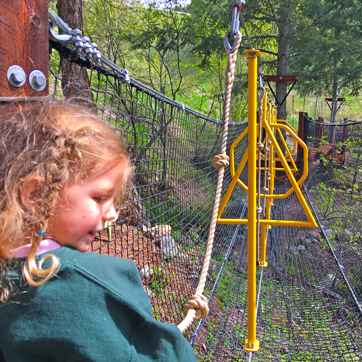 Trek in the treetop at the height you choose. Try all 39 elements and swinging obstacles. 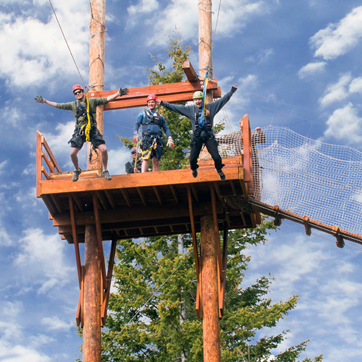 Top Zipline & Aerial Parks near Kelowna. #1 in the Okanagan according to Trip Advisor. 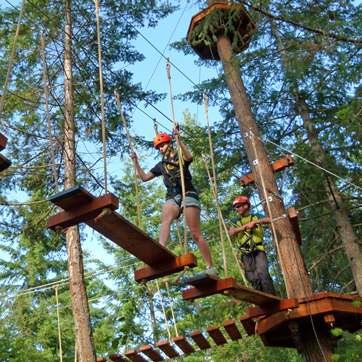 The only full-size aerial obstacle courses and zipline park in B.C. "The most professional, safety conscious, and friendly bunch of people you could hope to meet"
"Our experience couldn't be any better the staff are fantastic, would love to go again!!!" Yes - book me now!